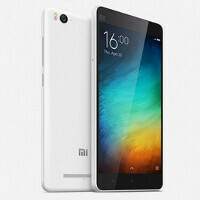 Xiaomi Mi 4c to be available with more than 32GB of storage? Earlier today, we told you about the two variations of the Xiaomi Mi 4c that will be introduced on September 22nd. One version of the phone will come with 2GB of RAM and 16GB of internal storage. A second model will feature 3GB of RAM along with 32GB of native memory. Now, there is talk that Xiaomi will be adding a third option to the mix, one that will offer the Xiaomi Mi 4c with 64GB of internal storage. It isn't clear whether the 64GB model will come with 3GB or 4GB of RAM. The Xiaomi Mi 4c is expected to sport a 5-inch, 1080 x 1920 resolution display. That works out to a 441ppi pixel density. Driving the handset is the Snapdragon 808 chipset, which includes a hexa-core CPU and the Adreno 418 GPU. There is talk that the device will come with a infrared port for security reasons. A Type-C USB port will bring zippier data transfer and charging speeds to the handset. Additionally, the Snapdragon 808 SoC supports Qualcomm's Quick Charge 2.0 feature. There is actually some good news on pricing. Originally, it was thought that the 16GB/2GB RAM model would cost $235. Instead, it is the 32GB/3GB RAM model that will be tagged with that price. We will know all when the Xiaomi Mi 4c is unveiled on September 22nd. The handset is expected to launch on October 3rd. A nice looking phone! If only they included stock Android it would sell like hotcakes. You can always install a launcher (Google Now is almost stock android) and icon packs or root the device and install custom ROMs as well. There are definitely stock android or near stock ones for Xiaomis out there. You just have to wait a little. Stock Android is for geeks, most people don't like it because it looks boring/ugly and it's less functional than manufacturer skins.